Free of Pesticides. Sustainably Grown. Pure. Available in Standard, Queen, King, and Travel size. Stomach sleepers should choose soft; back and side sleepers prefer medium or firm. The solution for your stiff neck. 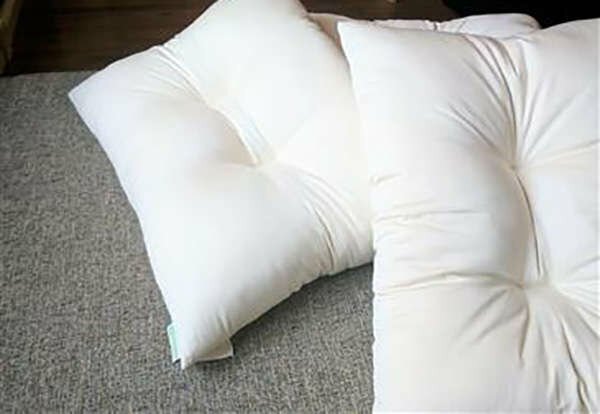 If you have neck pain, this is the pillow for you! 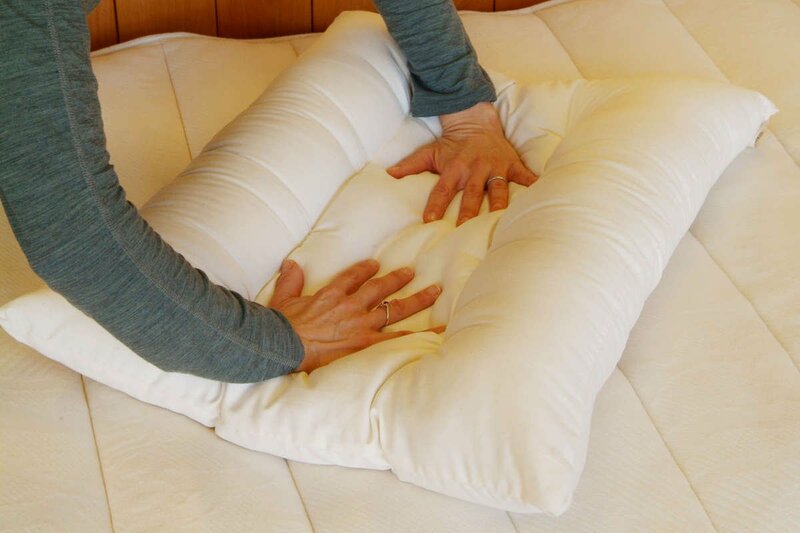 The Kapok Contour Pillow provides perfect support and alignment for comfortable, restful sleep. Made with a zipper so you can adjust the amount of Kapok. Available in Standard, Queen, and King size. Made in the USA. Free Shipping. Essential support. The purest of cottons. 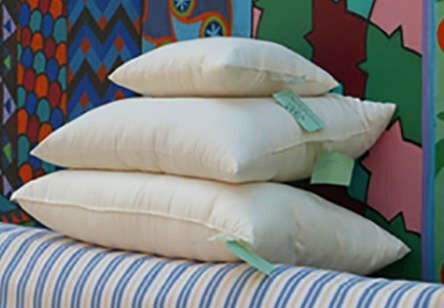 This pillow is made with 100% Organic Cotton from Texas that comes with the assurance of USDA certification. It is unwashed, unbleached, untreated cotton. Period. Less compression. All the support. Ultimate comfort. A bestseller and a great investment! 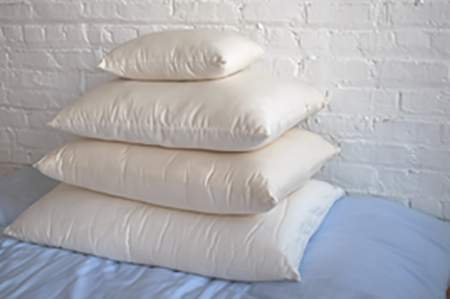 This 100% Natural Shredded Latex pillow is long-lasting, and provides the support you need with little to no compression over time. 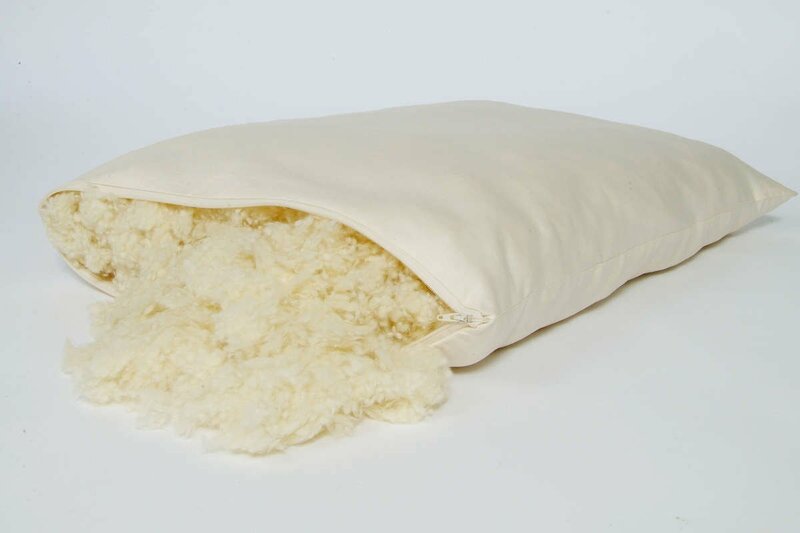 See why customers rave about the 100% all natural shredded latex pillow. Firm support wrapped in comfort. Want a firmer latex pillow? Try the Solid Latex wrapped in pure Eco-Wool. It provides firm support with the comfort of wool. Ideal for back and side sleepers who crave firm support, and perfect for those who want to sit up in bed to read or work. 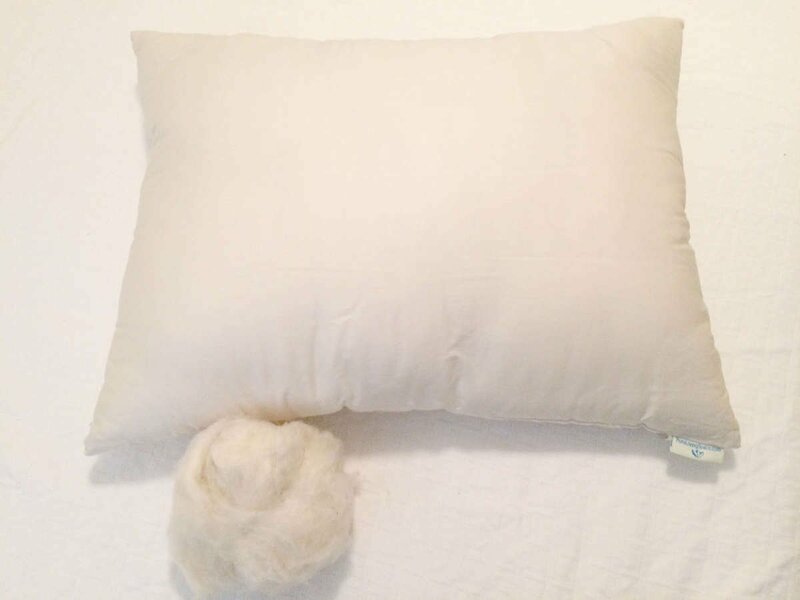 A customer favorite, this 100% Eco-Wool pillow is lightweight with good loft that provides comfortable support. This Woolly "Down" pillow can be shaped like down for perfect comfort. The secret is the tiny wool puffs made from Eco-Wool. Ideal for sleepers who prefer malleable pillows. Stomach sleepers can remove wool puffs for lower loft. A stiff neck solution. 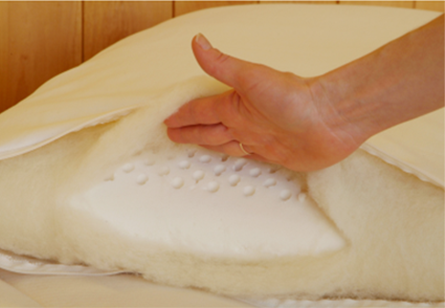 The 100% Eco-Wool pillow has two contoured neck bolsters for spine alignment. It's the all natural alternative to the "Temper-Pedic" pillow. 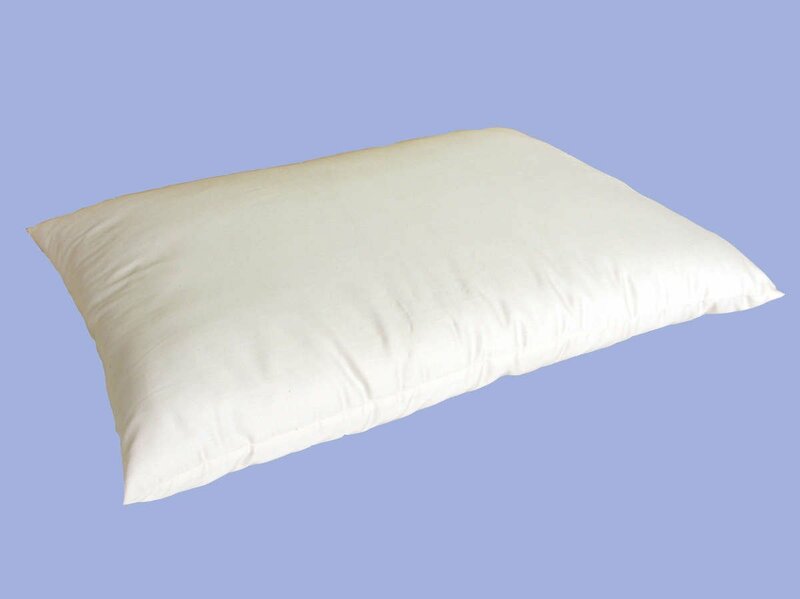 Supportive and soft, this pillow was developed in partnership with a physician. Grown & milled in the USA. Free of Pesticides. Organic. 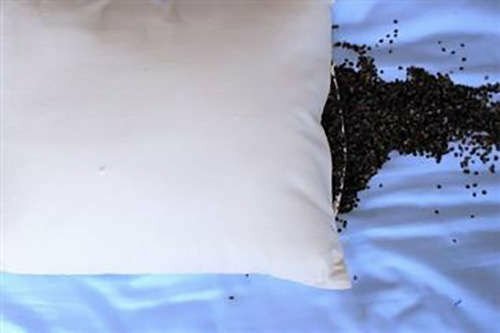 Used in Asian countries for centuries, this Organic Buckwheat pillow offers superb support and contours to the shape of your neck and head. It cradles your neck and head with steady and firm support. Available in Standard, Queen, King, and Travel sizes. Ideal for back sleepers who like FIRM support; side sleepers should consider a combination wool/buckwheat pillow to better suit their needs. Made with in the USA. Free Shipping over $50. 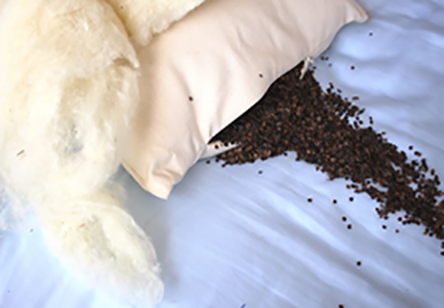 Offering the exceptional support of buckwheat with the softness and comfort of wool, this Buckwheat & Eco-Wool combination pillow provides the support of Buckwheat, but without the “rustle” and/or the feel of the hulls against their head. Ideal for side and back sleepers who desire firm support, softened by wool. Organic Cotton. Eco-Wool. Natural Kapok. Eco-Wool. Natural Kapok. Natural Latex. Organic Cotton. Natural Kapok. Eco-Wool. Natural Latex. Grown and Milled in the USA.